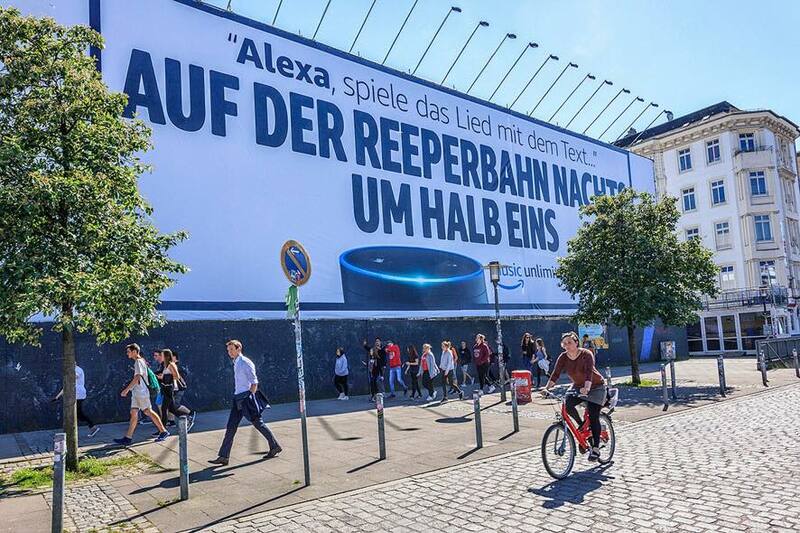 Amazon is an American electronic commerce and cloud computing company that was founded on July 5, 1994, by Jeff Bezos and is based in Seattle, Washington. It is the largest Internet-based retailer in the world by total sales and market capitalization. 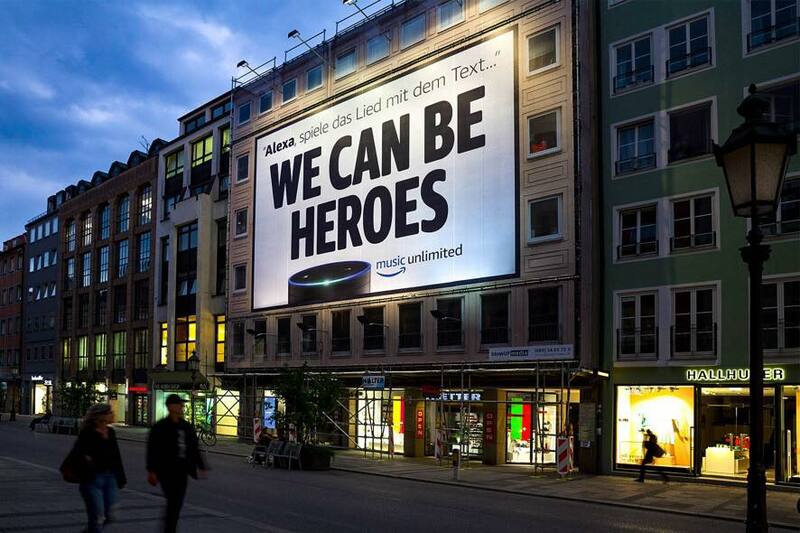 Amazon.com started as an online bookstore, later diversifying to sell DVDs, Blu-rays, CDs, video downloads/streaming, MP3downloads/streaming, audiobook downloads/streaming, software, video games, electronics, apparel, furniture, food, toys, and jewelry. 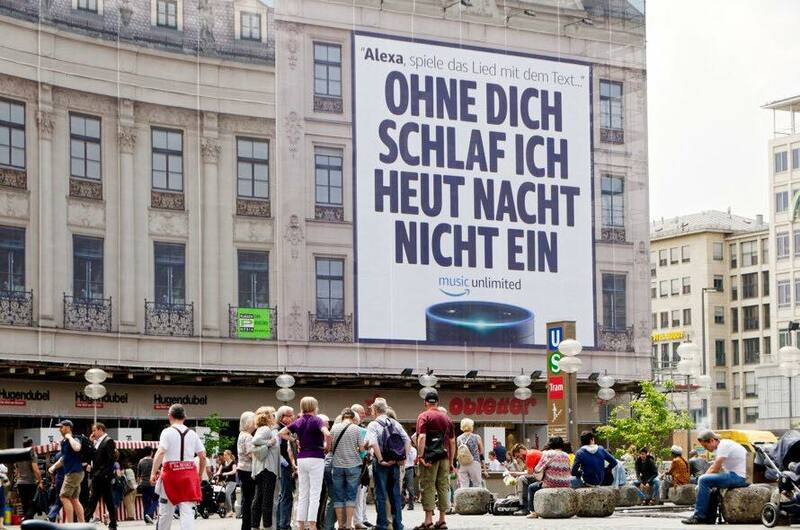 The company also produces consumer electronics—notably, Kindle e-readers, Fire tablets, Fire TV, and Echo—and is the world’s largest provider of cloud infrastructure services. 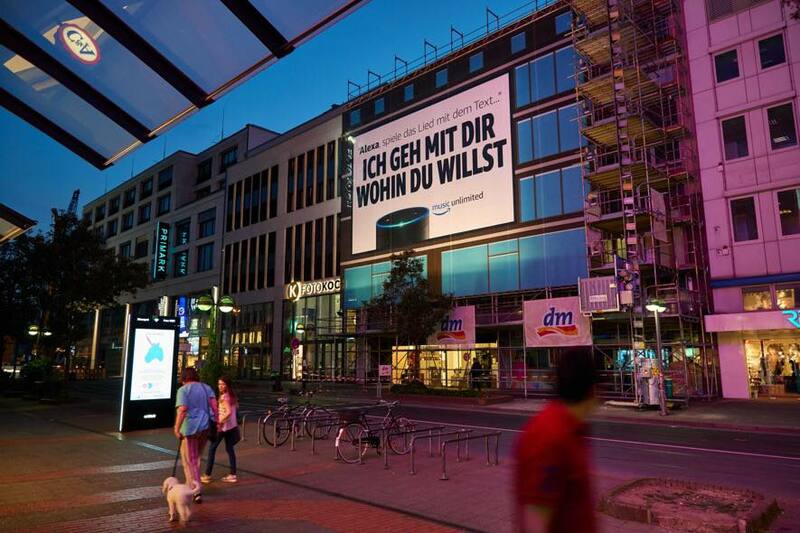 Amazon headquarter in Seattle and Amazon Germany asked Spark to support the clearances process for a multi-tier advertising campaign. 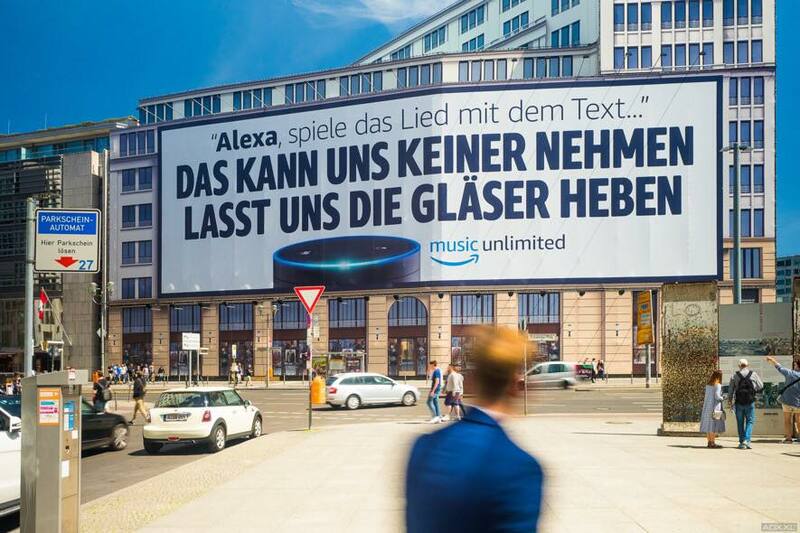 Products advertised included the Amazon Echo, Amazon Music Unlimited’ and Amazon Alexa’s ability to play any song by the user just saying a few words from the lyrics of a song. 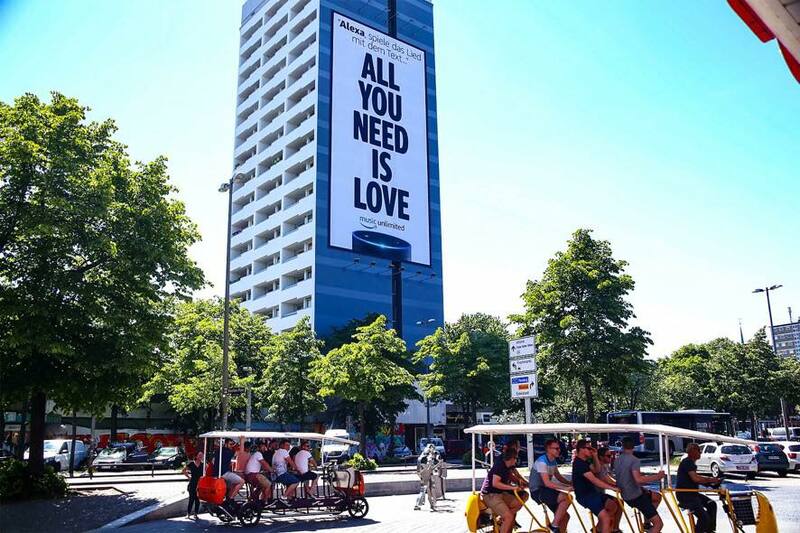 Spark cleared the reproduction of lyrics from famous songs for out-of-home use which included giant billboards as well as smaller posters in bus shelters. 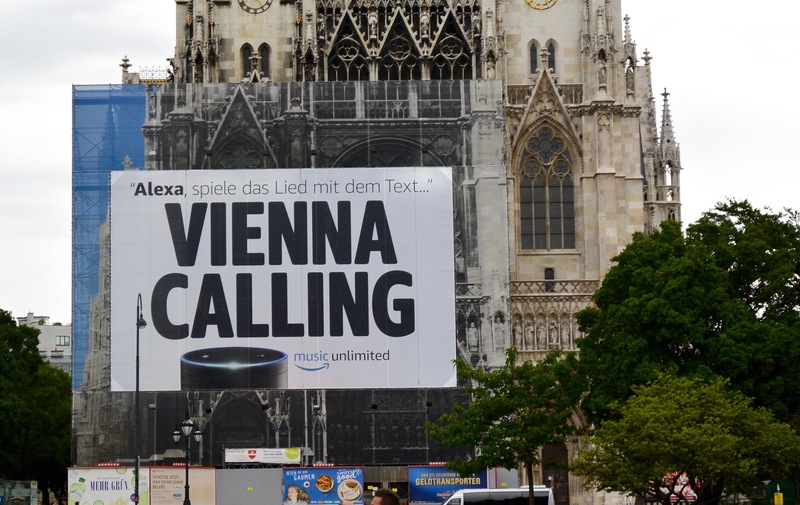 Some of the music lyrics were also used via digital-out-of-home. All of which included negotiations with music publishers. 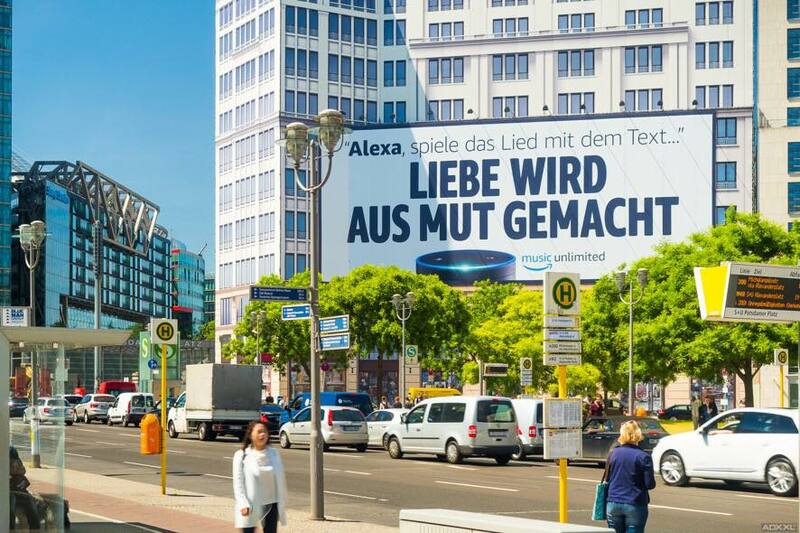 We also cleared recording and publishing rights for a radio and online video campaign to support the out-of-home advertising. The videos were used in social media such as Facebook in particular. 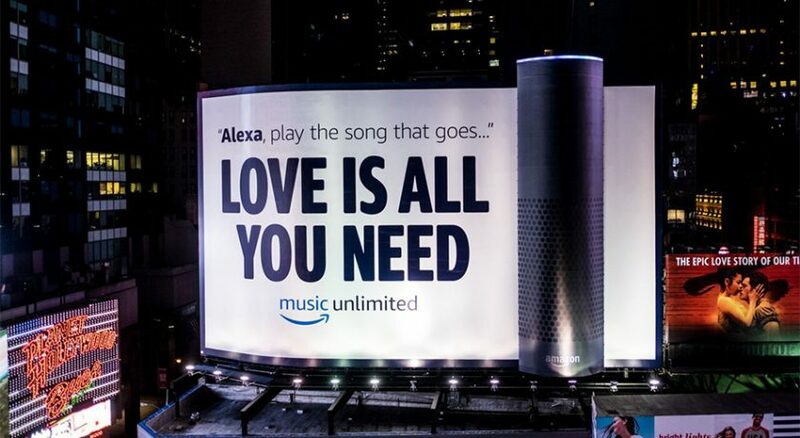 The US part of the campaign included the biggest ever outdoor ad Times Square, New York City, in form of an Amazon Echo replicawith lyrics used from a Beatles song. The installation weighed 7 tons. 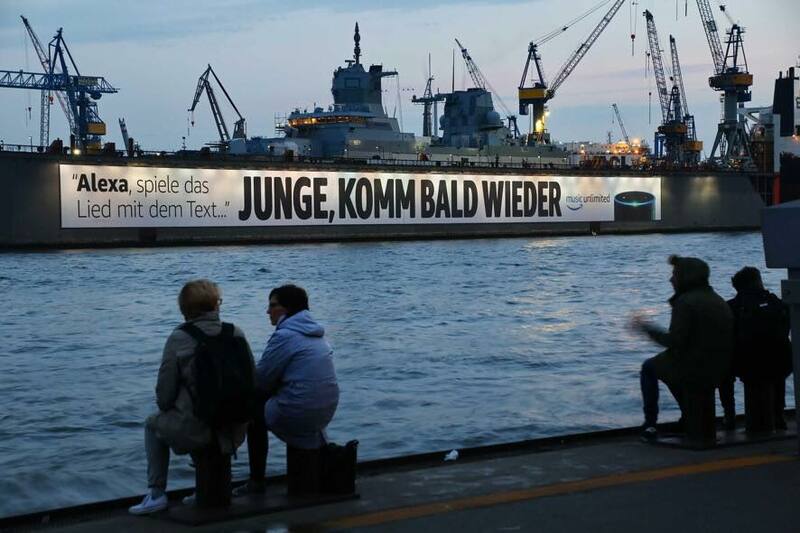 Spark was not involved in the US part of the campaign.